We don’t have many holiday traditions as a couple, Evan and I. I think this is for two reasons: 1) we’ve always spent this season with family and celebrated the traditions we grew up with, and 2) we’re still fairly young in our relationship. But now that Baby P is on the way, we’re seeing Christmas in the big picture sense. How will we make it special once our little one is here? Will we always chop our tree down from a farm? Will we wear matching pajamas? Will we string popcorn garlands? Will we break tradition and fly to a tropical location every year? Will we promote Santa? (Evan grew up a believer, I did not). So many questions we have. So many ideas and visions of how our near future might turn out. And I have to admit, I’m a little scared. There’s a lot of pressure to make this season magical for little ones…especially when they’re your little one. You want them to grow up with fond memories of Christmas mornings and of family traditions. And maybe, you want them to love some traditions so much that they carry them on to their own families one day. While we’ve been really minimal with decorations up until now (because we’re never home for Christmas), we’ve always made an event of decking the halls even if we’re only stringing lights in the shape of a tree on our wall (we did that one year). 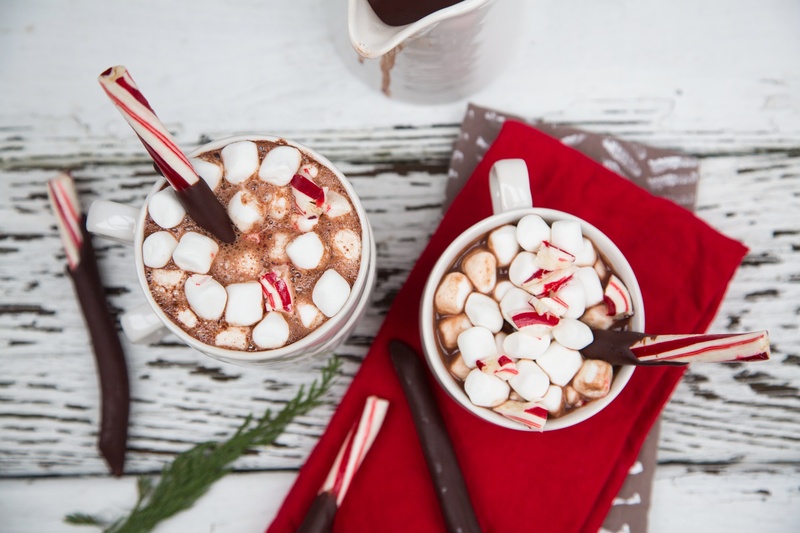 We put on holiday music (usually the Mariah Carey Holiday Station on Pandora – I’m one of those rare birds that never tires of All I Want for Christmas) and make hot cocoa (usually spiked with peppermint schnapps). It’s the one tradition we’ve created so far. Simple and sweet, and we hope to continue it with our growing family as the kickstart to this merry season. 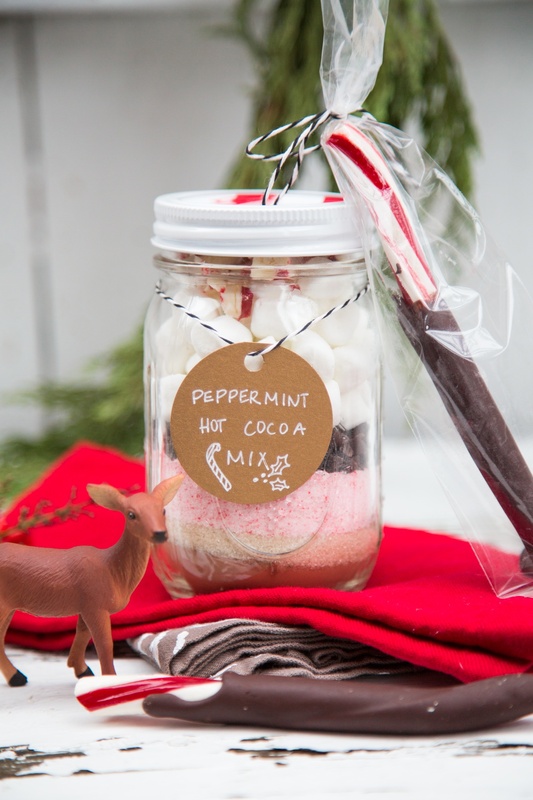 Because hot cocoa is the only staple in our newly born holiday traditions, I thought it a perfect homemade gift idea. 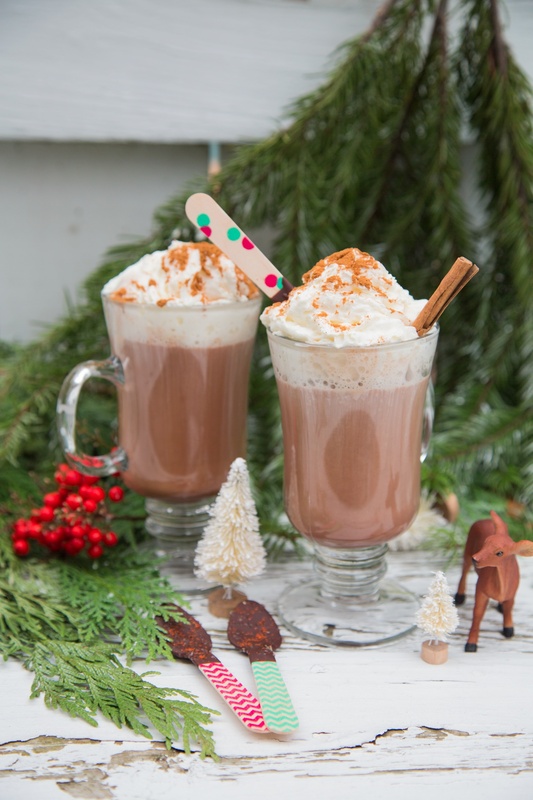 Making hot cocoa mix couldn’t be easier or more inexpensive. You can flavor and prepare it a number of ways. 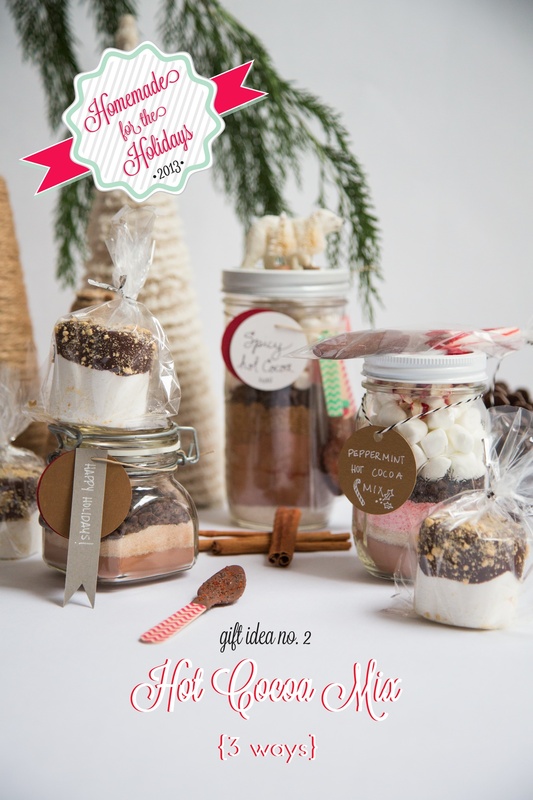 Packaged in a cute tin or jar, you’ve got yourself a lovely gift that will sweeten anyone’s day. 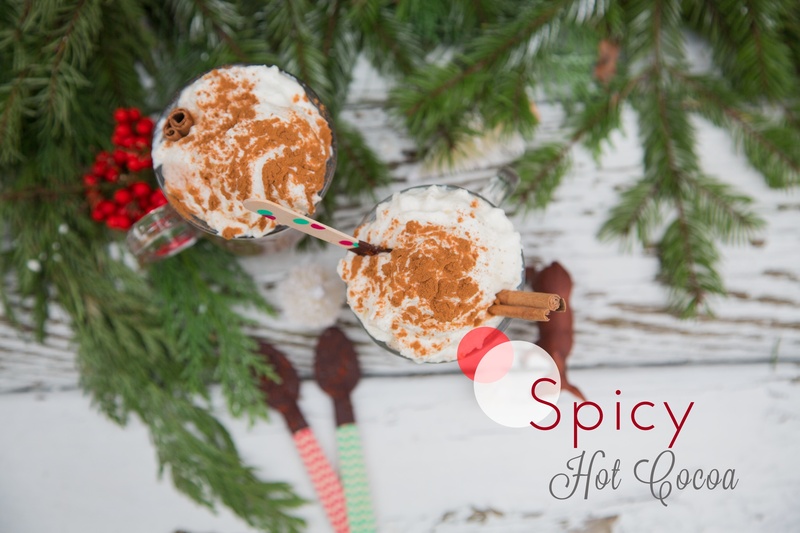 Here are three hot cocoa mixes for you to try out: Peppermint, S’mores, and Spicy. A little something for everyone. Enjoy! Layer each ingredient in a jar or tin. Avoid mixing for a prettier presentation. Heat 2 cups milk over medium heat, just until simmering but not boiling. Add cocoa mix and stir until well dissolved. 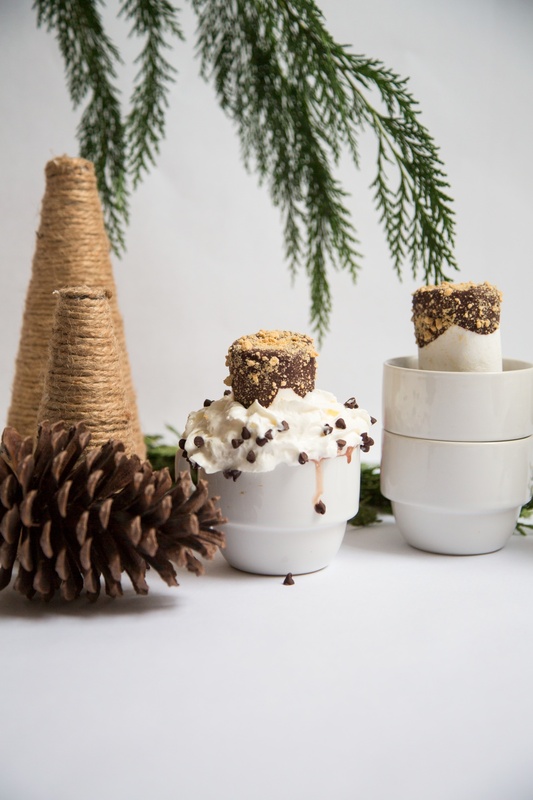 Pour into cozy mugs and top with marshmallows, whipped cream or chocolate shavings as desired. * Use good quality cocoa whenever possible. Valrhona and Scharffen Berger are my go to’s. ← Catching up with the bump: Week 24! Oohh, these are just too adorable!! Great gift ideas! We’re flush with Kilner jars this year, so finding incredibly cool homemade gift ideas that work beautifully in jars is totally inspirational! 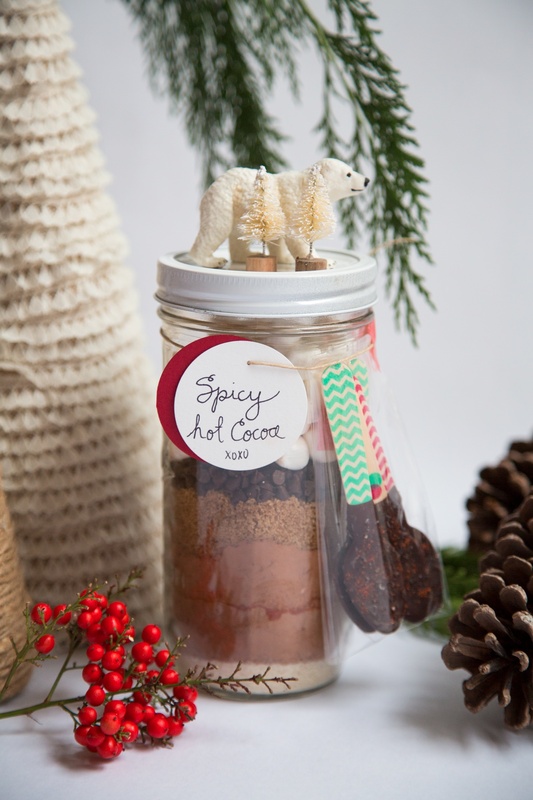 LOVE LOVE LOVE the jar with the polar bear on it! You are such an inspirational blogger, any tips for a younger one, hoping to be like you and many others? These are so lovely! 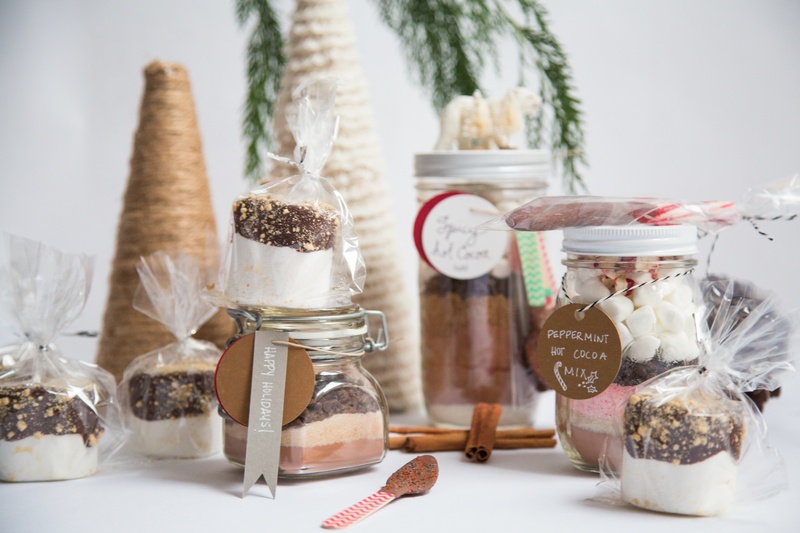 I love making hot cocoa mix for Christmas gift, but yours looks SO much prettier layered in the jars like that. I will definitely save this for future inspiration! I love your cocoa gift ideas. I’ll probably mix up some just for me :-) and maybe spike it a little with Amaretto when it really gets cold. As for traditions… don’t worry, make your own and enjoy the time and love with your new little family. 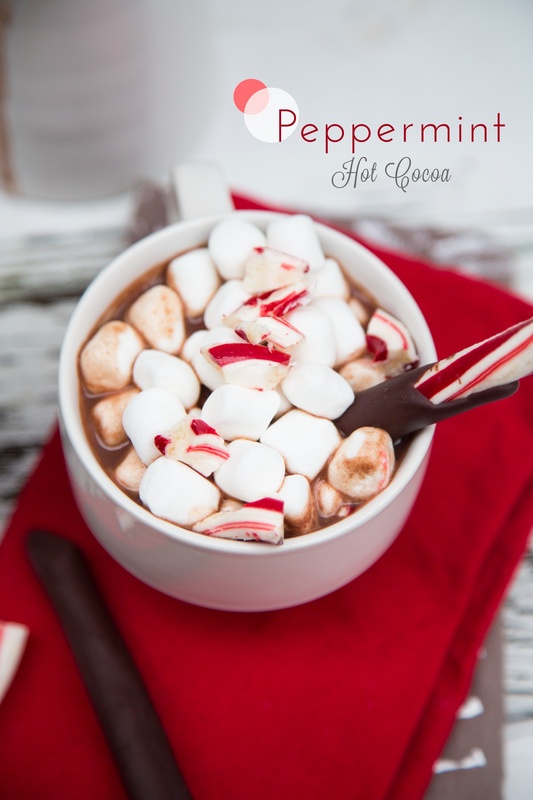 I love these homeade hot cocoa ideas! Thank you! Reblogged this on Candles and Cocktailsblog. Gorgeous, Paola! You are SO creative! Have to try the smores one for sure! Thanks for sharing! 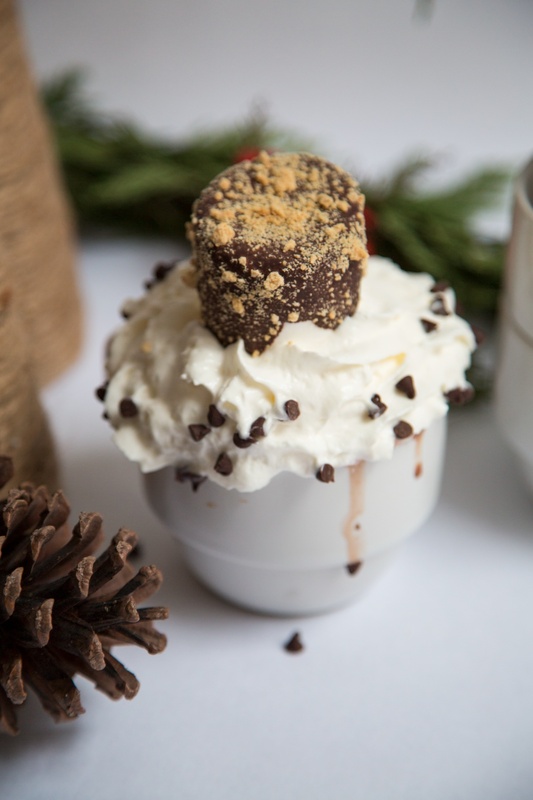 Love the chocolate hot cocoa! I was looking for something to drop off to a few of my neighbors this year and this will be perfect! Thanks! So sweet, I love this. How do you keep the marshmallows and other toppings from going into the milk at first along with the actual cocoa flavorings? Or do you just pour the whole thing into the milk at once, toppings and all? 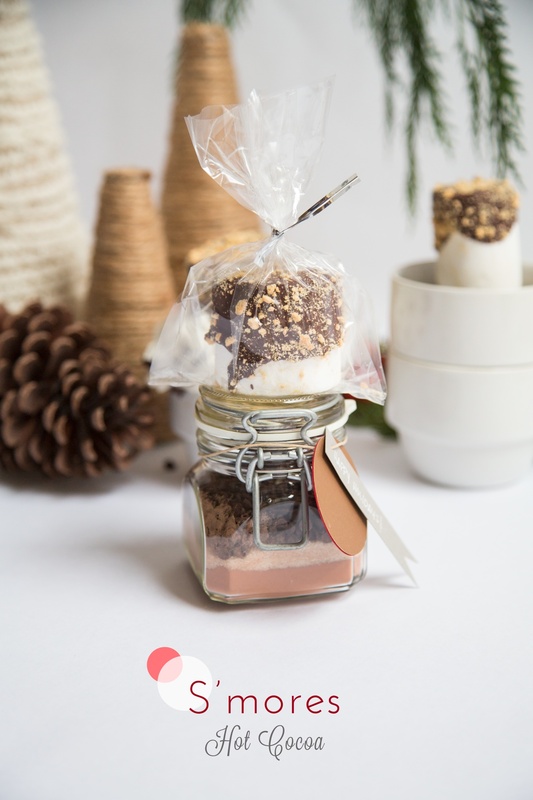 These look perfect… it’s my baby girl’s first Christmas this year and though my ambitions for making it perfect will probably be made impossible by her:), I might try to make these when she naps. My husband will absolutely love them! Thank you for inspiration! I think this is such a fun and creative idea for a Holiday gift! I love giving homemade gifts too. Thanks for sharing your beautiful and festive ideas. Can I ask you the volume of the jars? 1 liter, 1/2 liter,..? :D thank you!! For the sake of pictures, I used all sorts of sizes and filled them accordingly but each recipe will fit nicely into a 1 pint jar.